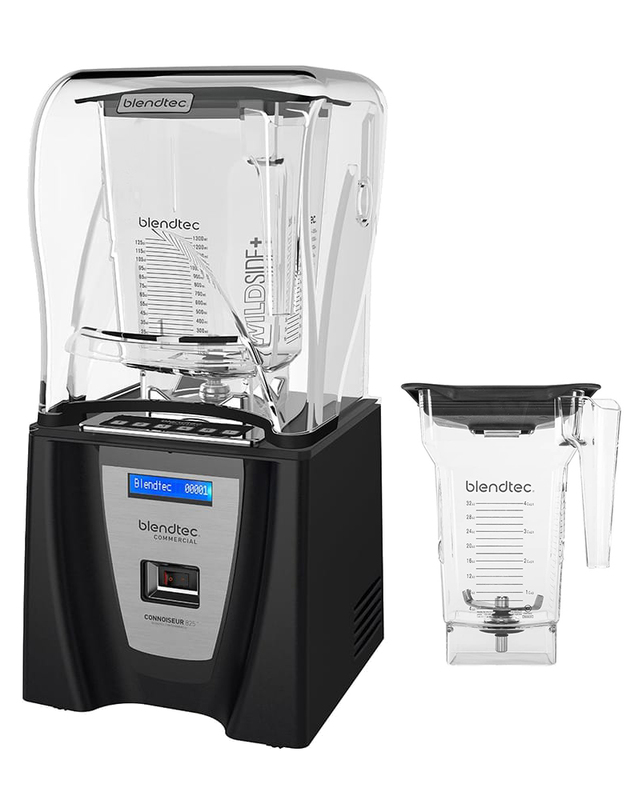 Blendtec Connoisseur 825 including 2 Wildside Jars: The reliable workaholic in new design. Through the exclusive sound proof technology of the Blendtec Connoisseur 825, these blenders mix at almost half the volume, then common blenders do – a significant advantage to the satisfaction of your guests. The unique bladedesign reveals the full taste of all ingredients and creates an incomparably creamy texture of drinks – which also is a result of powerful 1800 Watt, 31000 rpm, precision technology and most modern cutter bladedesign. The Blendtec Connoisseur 825 always easily adapts to the mixing demands. Just quickly control the blade rotation speed over the blue LCD display. You have the possibility to choose from 30 pre-programmed settings. By pressing a key combination you can reassign 5 program buttons and access 30 different mixing cycles. That is very special and provides an unique handling and comfort that has never been there before. These 5 perfectly timed mixing profiles automatically stop the mixer at the end of each cycle, which guarantees a constant quality of your products. Besides, the Blendtec Connoisseur 825 is convincing with 50% less volume compared to common appliances. The casing of the Blendtec Connoisseur 825 can be easily taken off. Therefore it is possible to use the Connoisseur 825 as a build-in table device. That saves space and looks good! 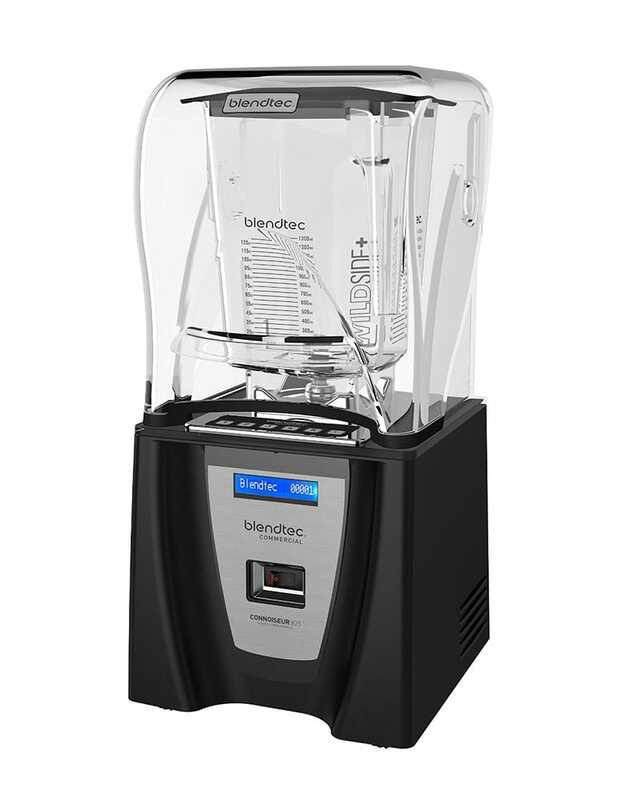 The best smoothie bars and restaurants count on the performance, value and functionality of the Blendtec Connoisseur 825. Included in delivery are 2 Wildside Jars. Everyone who runs a business in the food industry places great confidence in the Blendtec Connoisseur, worldwide. Related links to "Connoisseur 825"
Customer evaluation for "Connoisseur 825"